Lepidoptera is officially released in March on empreintes DIGITALes. 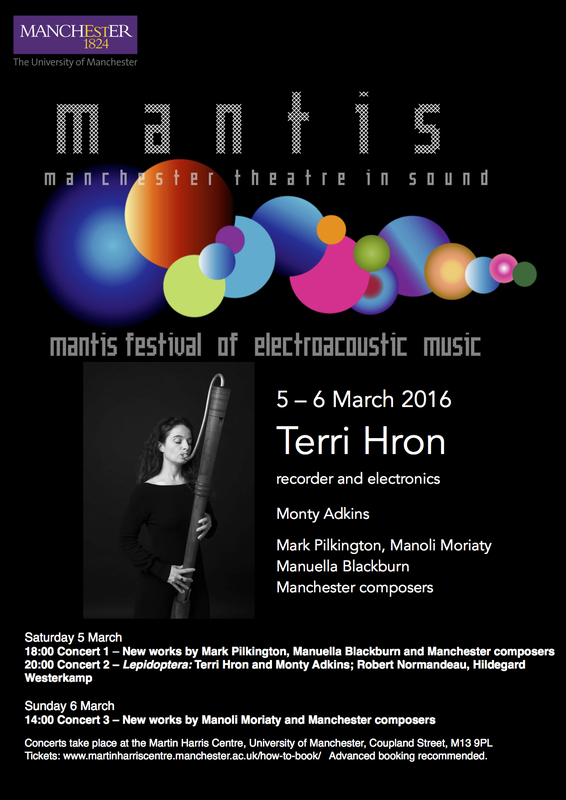 We’ve a number of concerts lined up in Amsterdam, Prague, Brussels, including this one with MANTIS in Manchester. My new collaborative album with Terri Hron is out this month on empreintes DIGITALes, we’ve a mini tour around the UK as well as gigs Belgium 24th, Amsterdam, 25th and Prague on 26th February. Terri recently gave a preview of the album in an intimate late night concert at Leighton Colony in Banff, Canada.